Software is provided by Tenma that offers a gui with that can do things like datalogging, generate graphs and show real time data. The problem is that this program only works on windows and my computer doesn’t have a serial port. Also it would be nice if it was possible to read this serial data using some kind of microcontroller based embedded system and do something cool with it. 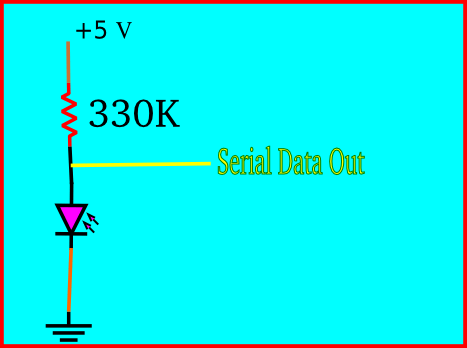 This serial data is sent to a computer via a pl2303 based usb to serial converter. All that is left now is to read the serial data and do cool things with it. Only problem is the serial protocol is fairly poorly documented. A protocol outline can be found here. Despite the documentation being pretty confusing, the protocol is extremely simple.The serial data sent out is the LCD table which tells us which parts of the LCD are on and which are not. This makes it slightly more difficult to decode the data on the other end than if it just sent values of voltage or current but it’s not that big of a deal. The data is sent out in 14 byte packets ( this means 14 bytes, short pause then another 14 bytes etc). The upper nibble (upper 4 bits) of each byte is the bytes location within the packet. EG the first byte in a packet will be 0001XXXX, the second one 0010XXXX etc. The XXXX’s or the lower nibble of each byte is what we are interested in. There is a table provided in the datasheet that outlines what these lower 4 bits mean. The output from the Python script at the moment is just the numbers currently being displayed on the multimeter. 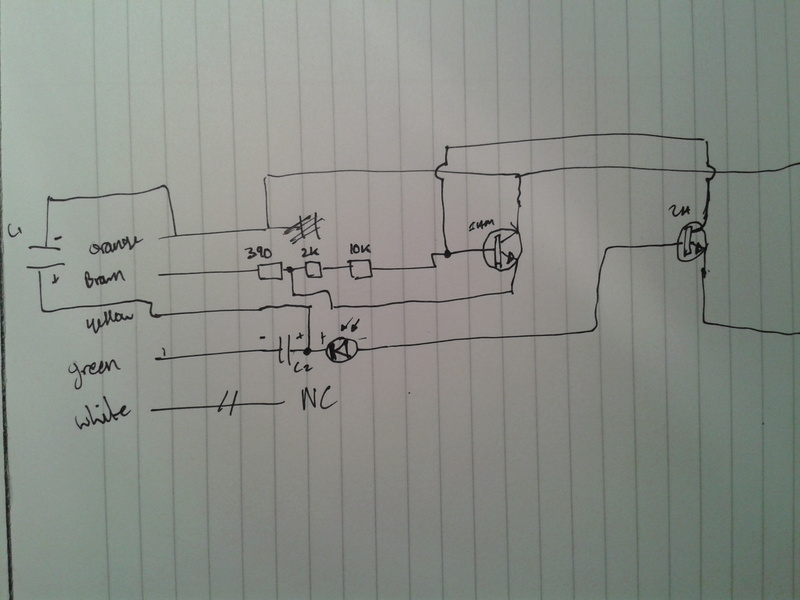 This is a work in progress, data logging with a microcontroller is something to try out in the future. 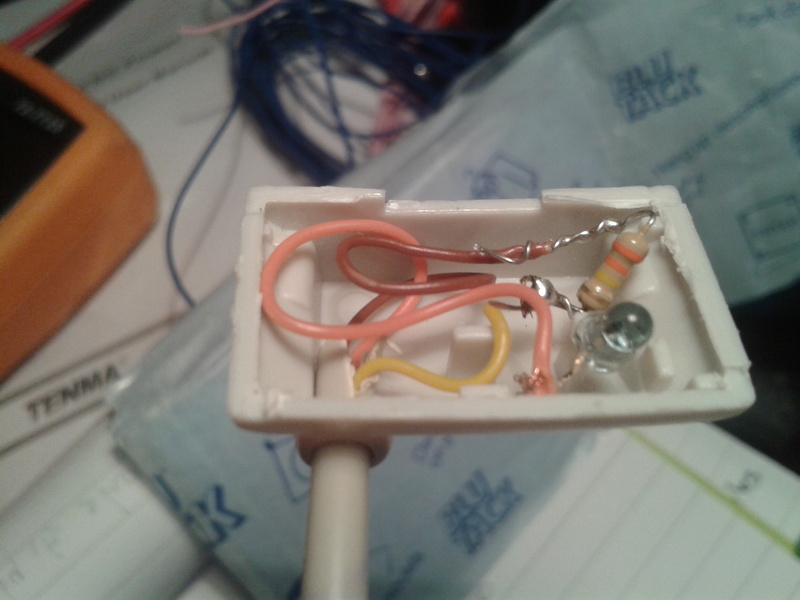 This entry was posted in Hacks, Hardware, Projects, Python and tagged circuit diagram, diy, hack, multimeter, python, rs232, serial interface, tenma. Bookmark the permalink. Fascinating! How much did that multimeter set you back? It seems like a very useful feature to have PC connectivity. 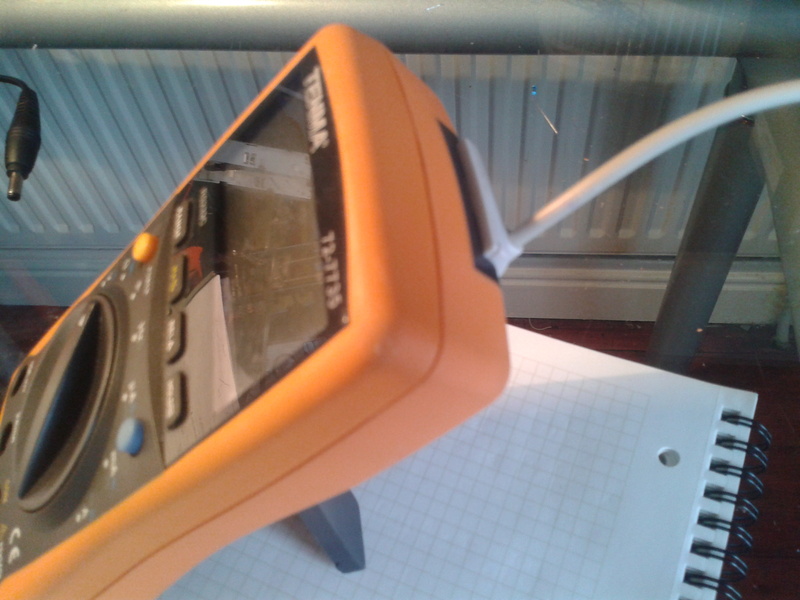 Got it from Farnell for around 50 euro including VAT, http://ie.farnell.com/tenma/72-7735/multimeter-digital-hand-held-3999/dp/7430590. It’s one of the cheapest meters to offer this kind of interface. Can’t think of any particular use for it right now but some kind of PC data-logging feature is sure to come in handy at some point! It is much easier to find the Protek 608, a 4.5 digit meter with the same interface ($129 US). It would be the same assemble the segments problem except that it has a 16 segment “bar graph” which is display of 16 bit data, with no segment foolishment to decode. I took the path of least resistance and used MAX232 chips to convert data level and supply the optoisolator with needed supply voltages. Only 2ma of 5V used. The chips were $1 on Ebay. Take a look at this board (https://www.pjrc.com/teensy/). This is a Arduino-like board with some really nice features. Because of the size constraints, I’d look at the 2.0. (I like the 3.1 better, but it looks like you need as small as board as possible.) 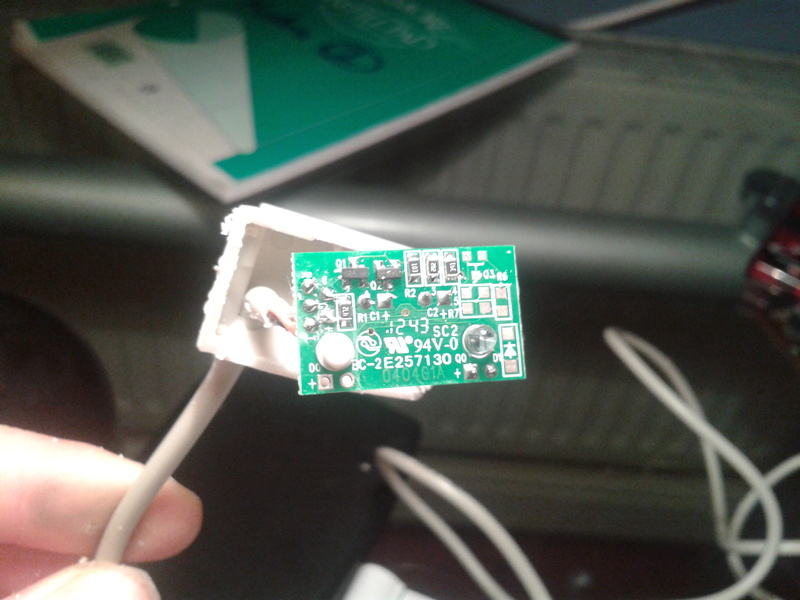 If you have some C skills and the board fits in your enclosure, think about wiring the photodiode right to the board. 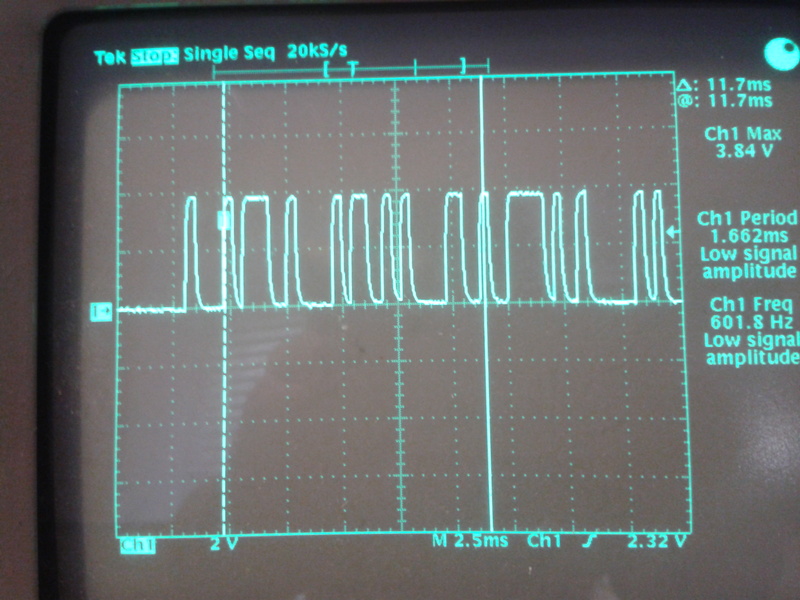 You could take care of the signal conversion on the Teensy. After you convert it to what you want, you can deliver the data out through the USB port (it emulates a standard USB/serial device) with the right code (documented). 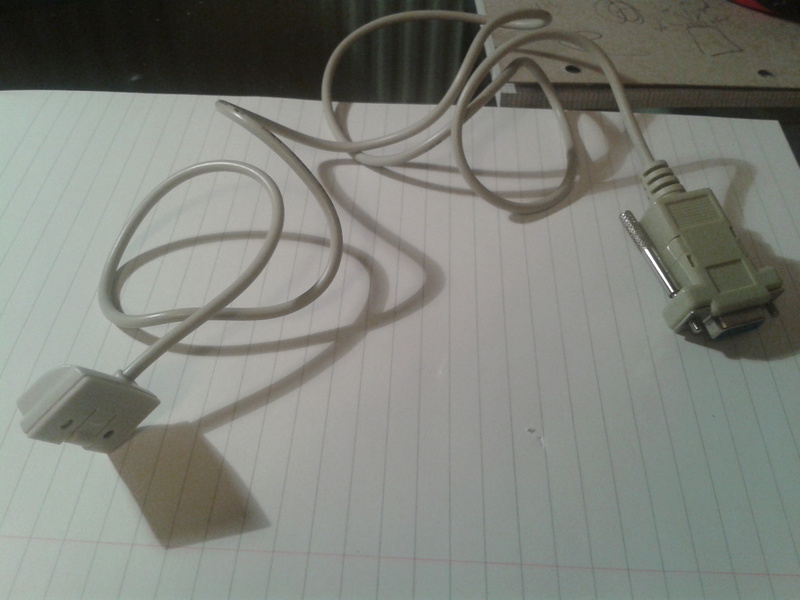 Oh… and powered through the USB cable. Good luck with the project. Great start. Thanks for the advice Tom. I’ll check out that teensy device it sounds like a cool piece of kit. The COM1-4 is just an indicator of which packet you are decoding. I wouldn’t throw that away. I use it as a check to make certain that you are working on the packet that you think you are. The dump is literally what the multimeter is sending to the LCD. 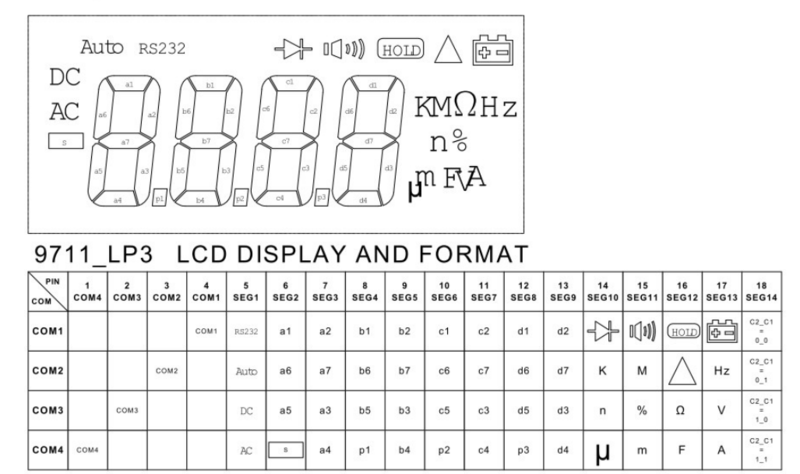 The LCD itself is multiplexed, arranged as a 4 by 14 matrix. Only one of the first four bits is active at any time, which selects which set of segments are lit up by the other bits. So you definitely need to pay attention to which of the COM bits is set, not just assume that the meter will always send them through in sequential order. Extremely useful info, thanks! That wiki page does a much better job of explaining how the protocol works compared to the datasheet that comes with the re branded tenma meter.